CLOSEOUTS. 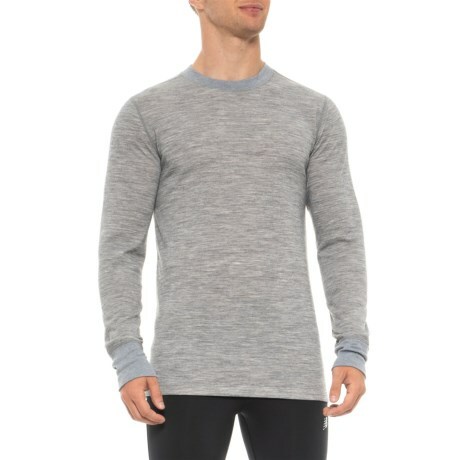 Providing midweight double-layer warmth for the depths of winter, the Aspen 2-layer base layer top features a wicking synthetic lining layer beneath an itch-free merino-wool-blend layer. Available Colors: HEATHER GREY. Sizes: S, M, L, XL.